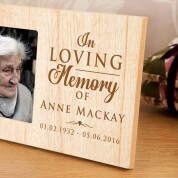 Our wooden memorial frame features a simple message, which reads “In loving memory” along with a full name in a traditional font. Special dates are also included. The delicate design is made complete with a simple heart motif. 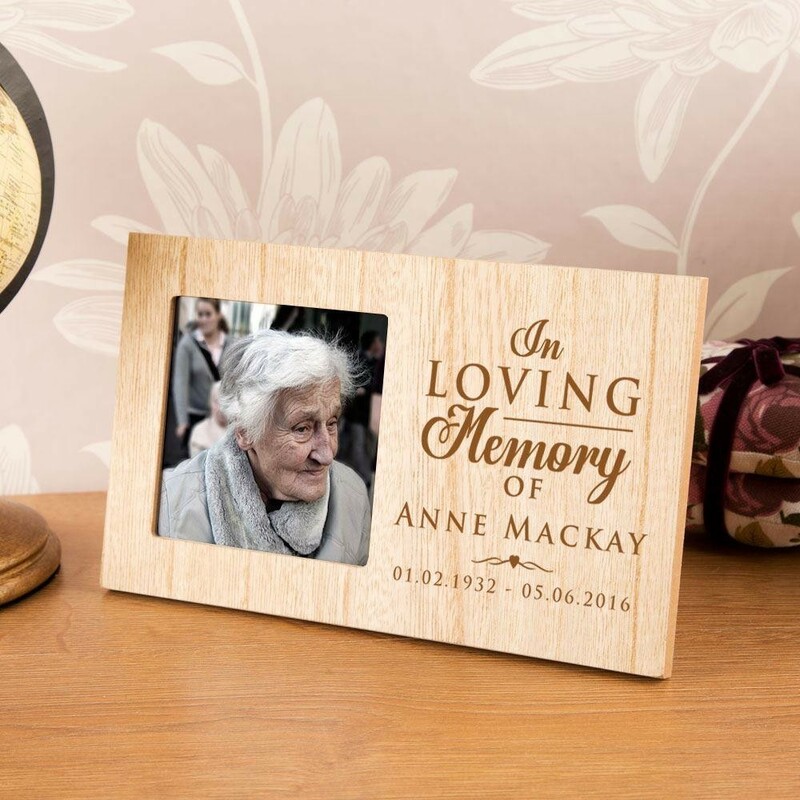 This photo frame makes a special addition to the home, or a precious keepsake for a friend or family member who has recently lost a loved one. 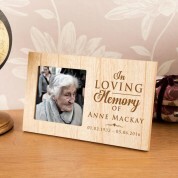 It may also be suitable for a memorial service. 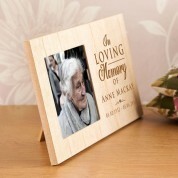 Display a photo of the special person to remember their face every day.